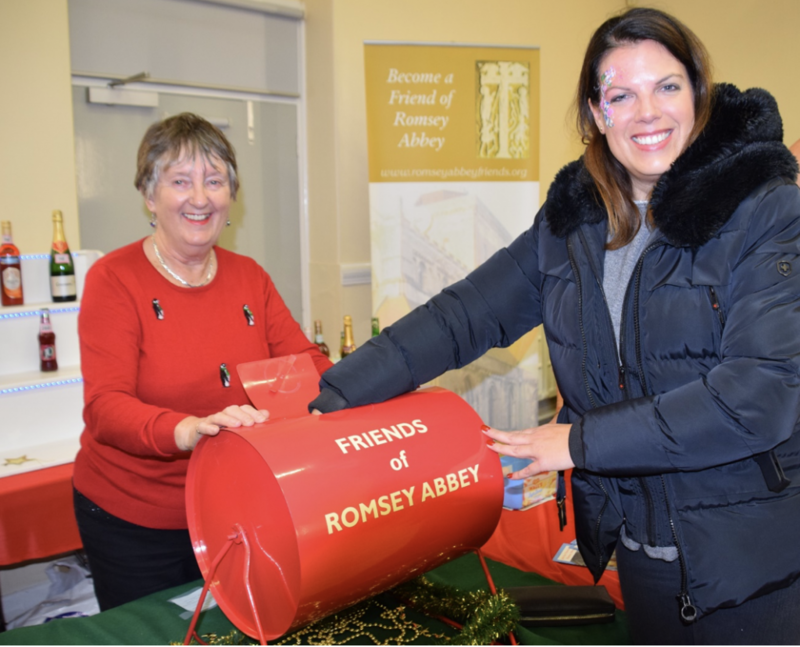 Romsey Abbey’s Christmas Fair is a major fundraising event for the Abbey, fully supported by the Friends, who manage the highly successful Bottle Tombola stall. Bottles are donated weeks beforehand, by members of the Friends and the wider Abbey congregation. This year a fantastic 226 Bottles were donated. The Tombola stall was managed by Colin and Rosemary Davis and supported by Friends members. Their efforts resulted in a wonderful £540 for Abbey funds!! Overall, the Christmas Fair raised £5500 for the Abbey. Our picture shows our Romsey MP Caroline Nokes with Celia Rowe, trying her luck at winning a bottle.